Sans Wine, sans Song, sans Singer and—sans End! There seemed—and then no more of THEE and ME. Excerpts from the "Rubaiyat Of Omar Khayyam"
And tomorrow, what shall tomorrow bring to the over-prudent dog burying bones in the trackless sand as he follows the pilgrims to the holy city? 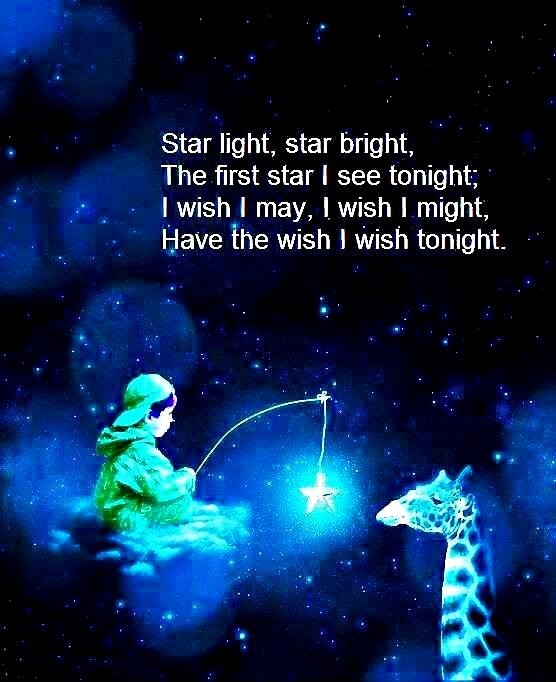 An excerpt from "The Prophet" by Kahlil Gibran. In this edition of Angel Watchers we are featuring the fantastic Razvan Dobai singing his very special Christmas cover of "My Way (Miss You This Xmas)". Needless to say, Razvan does a warm, and extremely heartfelt rendition with surprising Christmas lyrics that will touch your soul. By-the-way, the MP3 of Razvan singing "My Way (Miss You This Xmas)" can now be purchased from iTunes by clicking on this link: My Way (Miss You This Xmas) - Razvan Dobai This MP3 would make a perfect gift for someone that you cherish. I want to thank Nicoleta Dobai, who is Razvan's mother, for bringing this cool version of "My Way (Miss You This Xmas)" to my attention. 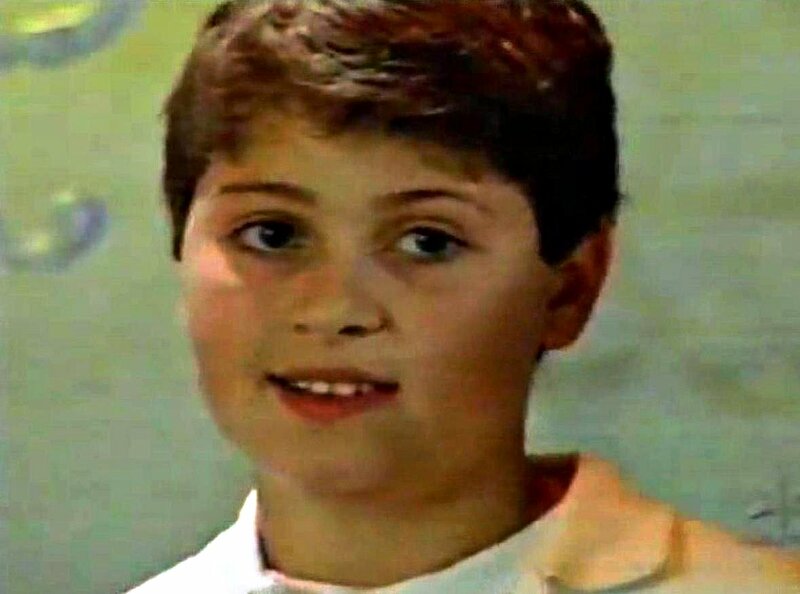 Luis Miguel Gallego Basteri (El Sol de México), is one of the greatest singers in the world. He was born on April 19, 1970, in Puerto Rico. Contrary to popular belief he is not Mexican, but is a Spanish citizen. 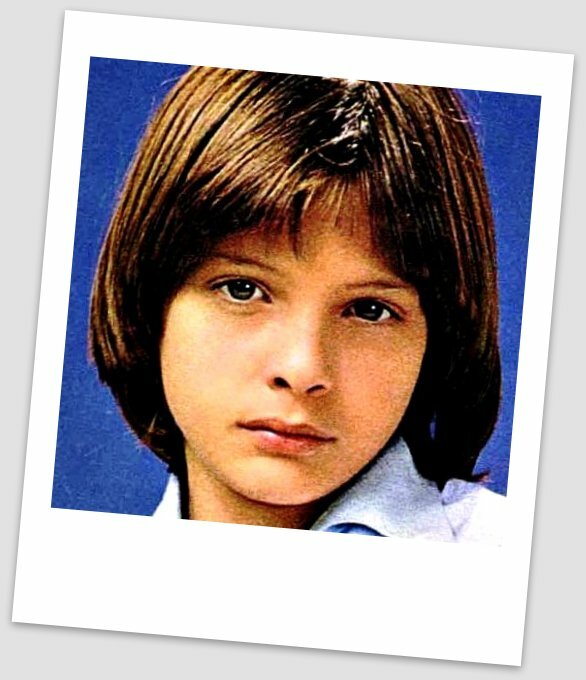 His father is the singer Luisito Rey from Cadiz, Spain, and his mother was Italian actress Marcella Basteri from Carrara, Italy. In this edition of Angel Watchers we feature Luis Miguel singing the beautiful and haunting Huapango "La Malagueña Salerosa" accompanied by guitarist Lusito Rey. It is a very powerful and moving performance. 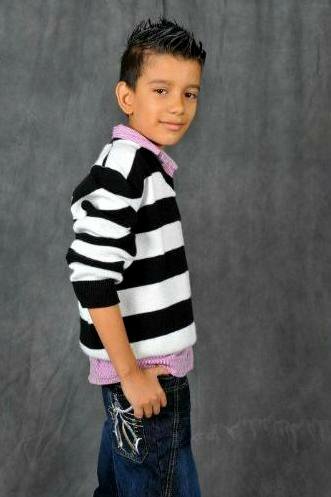 Luis was twelve years old at the time of this recording. Safe journeys to all the fans of Angel Watchers, wherever you may be. In this edition of Angel Watchers we are featuring the most beautiful song from Libera's incredible new Christmas album. The song is called "Still, Still, Still". If you need some instant peace to be brought into your life, just take the time to listen to "Still, Still, Still". Safe journeys to all the fans of Angel Watchers, wherever you may be. This has to be the most beautiful setting ever for Pachelbel's "Canon in D". Aunt Martha and I wept profusely upon hearing it for the first time. 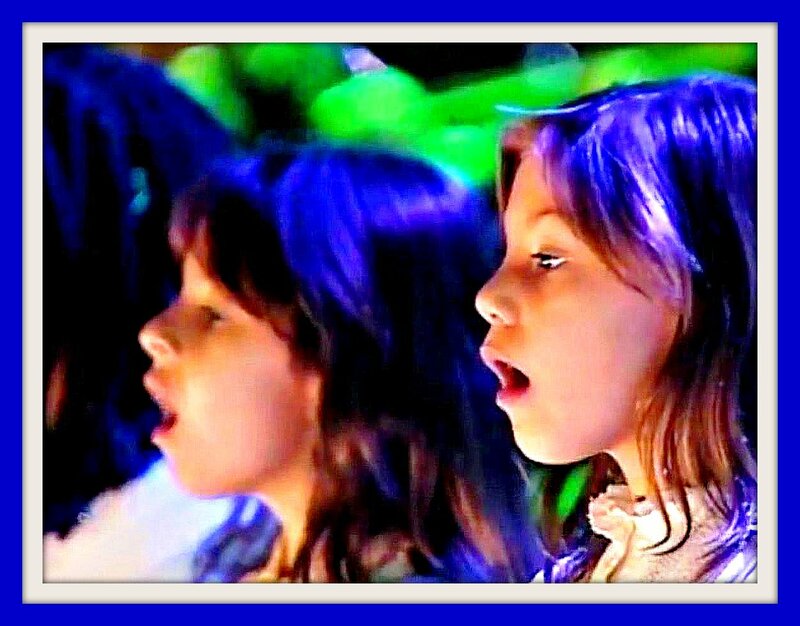 The Trans-Siberian Orchestra, augmented by the angelic voices of a children's choir, have created a modern day holiday masterpiece with the "Christmas Canon". Just when you thought that you had heard all the Christmas songs in the world, along comes something marvelous, and special like the "Christmas Canon". It is from an album called "The Christmas Attic". In this edition of Angel Watchers I invite you to experience the "Christmas Canon". Safe journeys to all the fans of Angel Watchers, wherever you may be. In this edition of Angel Watchers we are featuring the angelic voice of Jackie Evancho singing the beautiful "Silent Night". 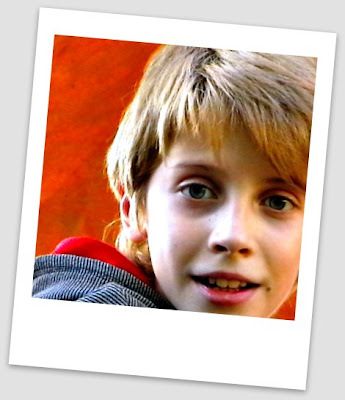 This video contains some very cool scenes of Jackie and her big brother Jake. Safe journeys to all the fans of Angel Watchers, wherever you may be. In this edition of Angel Watchers we are featuring an exclusive interview with the enigmatic Razvan Dobai, from Bihor, Romania. A short time ago, Razvan discovered the post that we made about him on Angel Watchers while he was doing a Google search of his name (see post: Razvan Dobai - My Way). Razvan then signed-up to follow Angel Watchers much to the delight of all of us. 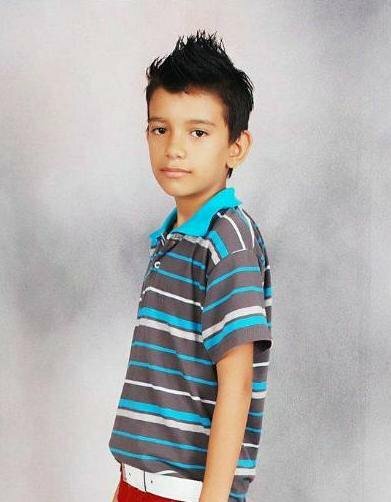 We contacted Nicoleta, Razvan's mother and asked her if Razvan would be interested in doing an interview for us, and she readily agreed to do so. For those of you who don't know, Razvan is the most exciting young talent to come out of Romania in a long time, and we were very impressed with his talent and stage-craft, and felt that we should do all that we can to promote him. 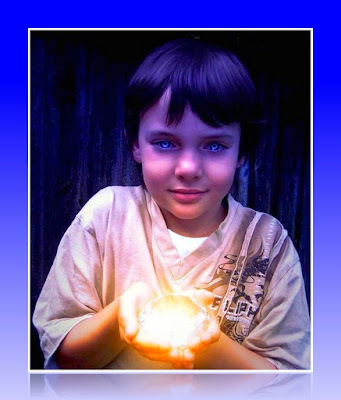 Without further ado, here is Angel Watchers' interview with Razvan Dobai. 1. What is about singing that you like the most? "I really enjoy being on stage and to make people happy with my music. I also enjoy when they also sing along with me." 2. Do you have a vocal coach? "Yes, I've had a vocal coach since the age of seven." 3. How long have you been singing for the general public? 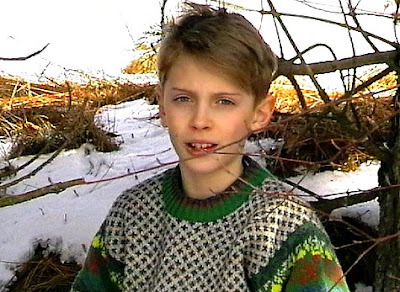 "I started singing at eight years of age and now I'm almost fourteen." 4. When you are singing, what kinds of thoughts go through your mind? "My mind is usually free from extraneous thoughts. It is just filled with me and my music." 5. What are some of your favorite songs? "From Michael Bubble I like "Feeling Good", "Hollywood", and "Home"". "From Adam Lambert, "What Do You Want From Me", and "No Boundaries"". "From Robbie Williams, "Feel", and "Angels"". "From Alexander Rybak, "Fairytale", Europe Skies", and "Roll With The Wind"". "I also have many other song favorites, and I have made covers for a few of them." 6. How do you feel when you are onstage? For example; happy, nervous, apprehensive, excited? "I'm happy, and sometimes I'm nervous if I am participating in a big song contest, but irregardless of tha,t I am still happy to be on-stage and singing." 7. How long does it take you to prepare a new song before it is ready to be presented on stage? "I am usually able to prepare a new song in just one day, but with that short a notice, it will not be as good as a song that I've had a week or more to learn. When I've performed a song for a long time, it gets to the point where I can just "feel" song, and I stop being nervous about the melody, or the lyrics." 8. Do you have any CDs or MP3s for sale? "Actually, I don't have any CDs or MP3s for sale at this time, but starting this Christmas, I will have some songs for sale on iTunes". 9. How often do you give concerts? I've never had my own concert, but I have sung on many different variety shows, TV programs, and also on the radio." 10. Do you plan to make singing your professional career? 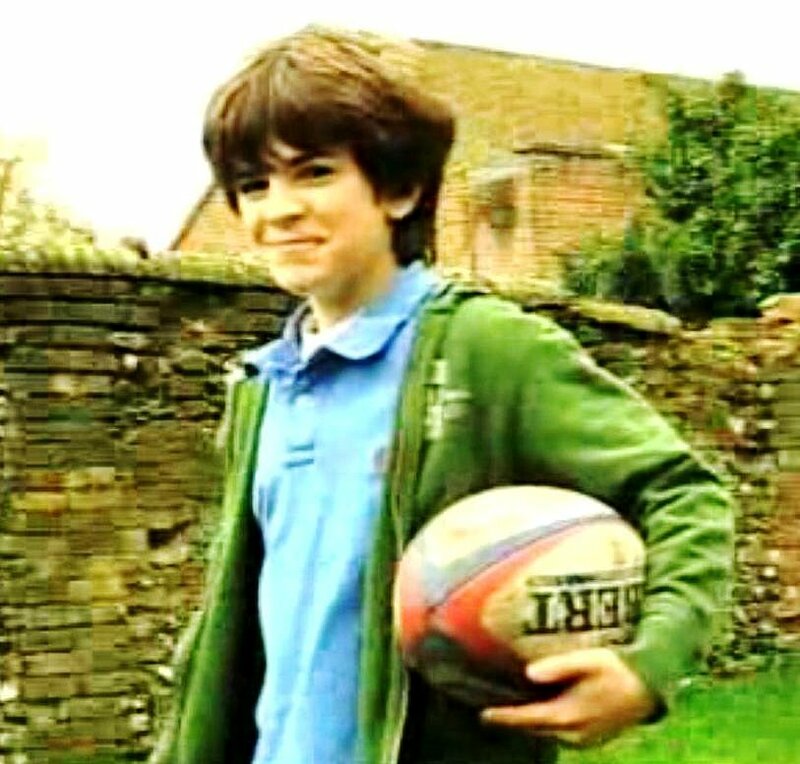 "Well, first, I'm planning on entering a good high school, then I will see how my musical career is going, but I do think that I will make a career with my music". 11. What kinds of music do you like to listen to? "I like all kinds of music, for example: Pop, Rock, Soft Music (it relaxes me), Reggae, Rap...etc." 12. Who are some of your favorite recording artists? 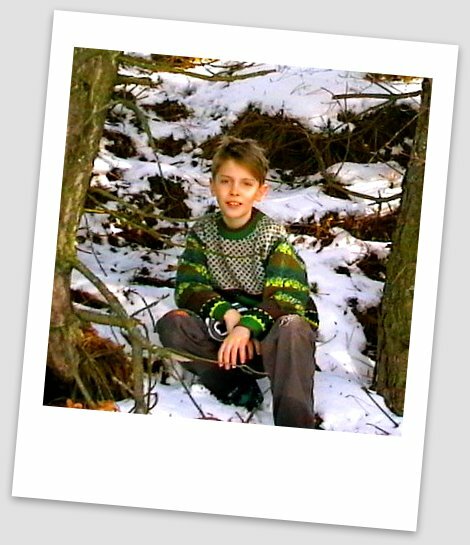 "I like Michael Bubble, Adam Lambert, Robbie Williams, Frank Sinatra, Alexander Rybak and many others." 13. Do you have any hobbies? "Yes I do, though music is my primary interest, but I also like to play video games, swimming, playing football and basketball." 14. Do you speak any foreign languages"
"Yes, I speak a bit of English, and I'm constantly improving it." 15. What are some of your favorite movies? "I like "Titanic", "God For A Day", "Yes Man", "The Mask" and all the movies of the American actor Jim Carrey." 16. What are some of your favorite foods? "I like hot dogs ;) and also more healthy stuff. For instance I enjoy milk with cereals, and almost any kind of fruit." 17. Do you plan someday to perform in opera? "I'm not much interested in opera. It is not exciting enough for my taste." 18. Have you concertized in other countries besides Romania? "Yes, I have concertized in Slovakia and Hungry." 19. What do you think about American popular music in general? "It's OK, but I have not heard too much American music." 20. Is there anything that you would like to say to your fans on Angel Watchers? "I hope that all of you continue to follow me , and to also enjoy my music. You can follow me on these links: Razvan Dobai's Official YouTube Channel and Razvan's Official Website I have a request to ask of all of you. Please help me to choose a stage name, or nickname if you will. I need some ideas. If you have any suggestions please log on to my official website and contact me there. I would also like to thank you for your interest in my music and career." Wow, was that a cool interview or what? Thank you very much Razvan and Nicoleta for taking the time to respond to all of our interview questions. Angel Watchers will be following your career with great interest, and we are looking forward to buying your music on iTunes. 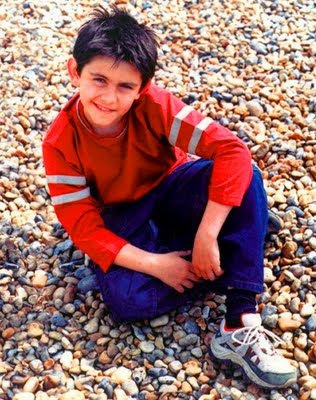 Please click on the video widget below to hear Razvan sing the beautiful "Dincolo de Nori Beyond (The Clouds)". Safe journeys to all the fans of Angel Watchers, wherever you may be. 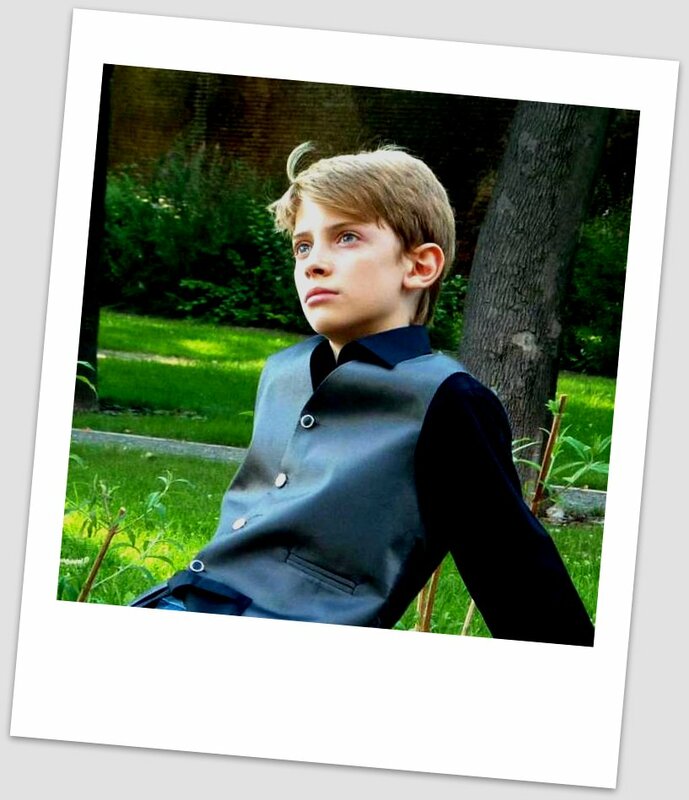 In this edition of Angel Watchers we are starting out the Holiday Season with a bang by featuring Alexandru. He is a new singer from Norway who is destined to have a great musical career. Needless to say my Dear Aunt Martha and I were really touched by Alexandru's hauntingly beautiful rendition of "O Holy Night". You can follow Alexandru on Tumblr by clicking on this link: Alexandru's World On Tumblr Alexandru's YouTube can be found at this link: Alexandru On YouTube Safe journeys to all the fans of Angel Watchers, wherever you may be. Maksim is a beautiful singer from Russia. In this edition of Angel Watchers I am featuring her singing the haunting "Отпускаю (I Release)". Safe journeys to all the fans of Angel Watchers, wherever you may be. Every once in a while an impressive young singer comes along that is far ahead of the pack. Razvan Dobai, who is from Bihor, Romania is that singer. I first wrote about Razvan on October 27, 2011 (see post Razvan Dobai - My Way), and at that time I was impressed with his talent. 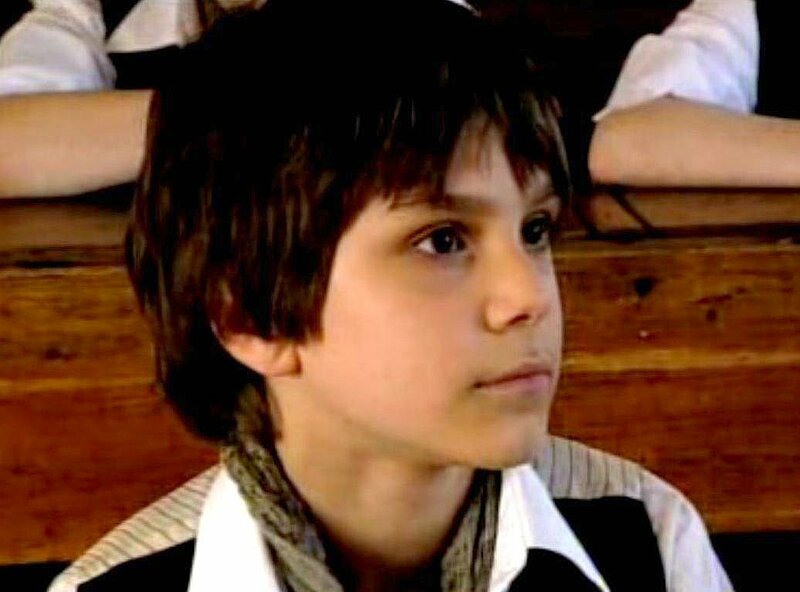 He also seemed to me to be a very hard worker who is perfecting his musical styles, and I do mean styles, because Razvan sings all kinds of songs, and that makes him a versatile performer. But I have to say this, when I heard him sing "Fairytale" I could not stop weeping. First of all, I have Roma blood in my veins, and when I heard that soulful violin intro, I cried and cried, as that violin spoke deeply to me about my people. It was so heartfelt and beautiful. Don't get me wrong, I enjoy Alexander Rybak's original version of "Fairytale", but it does not have the emotional impact, honesty, and innocence of Razvan's cover. Thank you Razvan for that incredible performance! God bless you. Razvan has a cool YouTube channel that can be found at this link: Razvan Dobai - Official YouTube Channel Safe journeys to all the fans of Angel Watchers, wherever you may be. 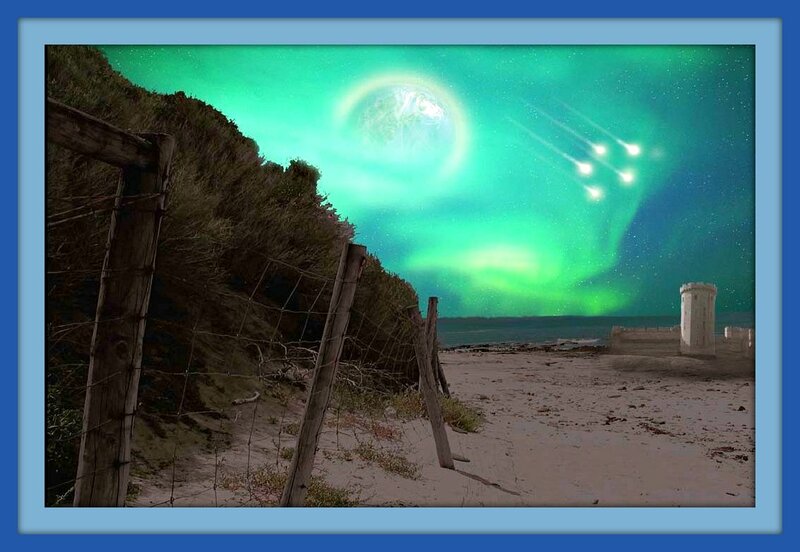 The beautiful Aurora. Safe journeys to all the fans of Angel Watchers, wherever you may be. 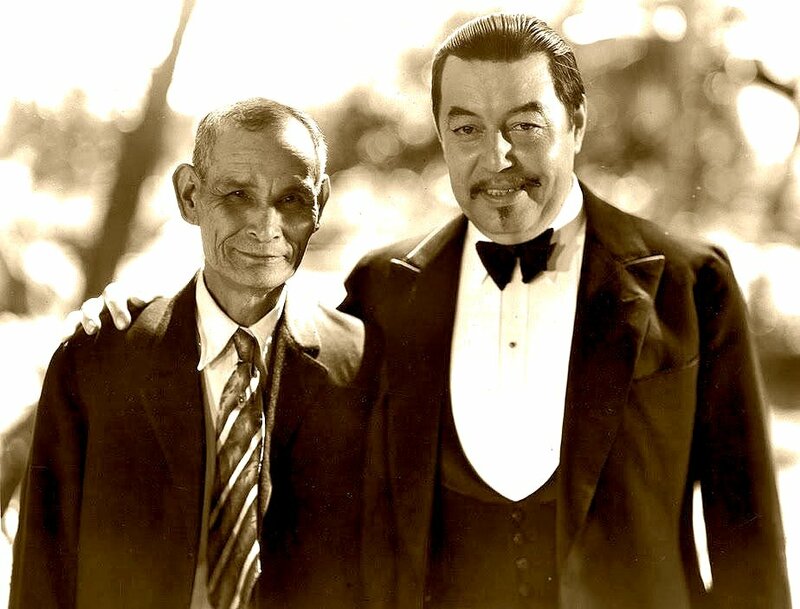 Detective Chang Apana and Warner Oland, as Charlie Chan, during the filming of "The Black Camel" in Honolulu in 1931. It is not well known that Detective Chang Apana, who lived in Hawaii, was the prototype for the fictional detective Charlie Chan, created by author Earl Derr Biggers. There a a number of items that appear in the Charlie Chan novels that can be linked directly, or indirectly with Detective Chang Apana. In “The Black Camel” (1929), it is mentioned that Chan’s oldest daughter is named Rose. Chang Apana’s youngest daughter was named Rose. In the “House Without A Key” (1925), the captain of detectives is named Hallet. From 1923 to 1927, a man named Kellett was the Captain of Detectives of the Honolulu Police Department. 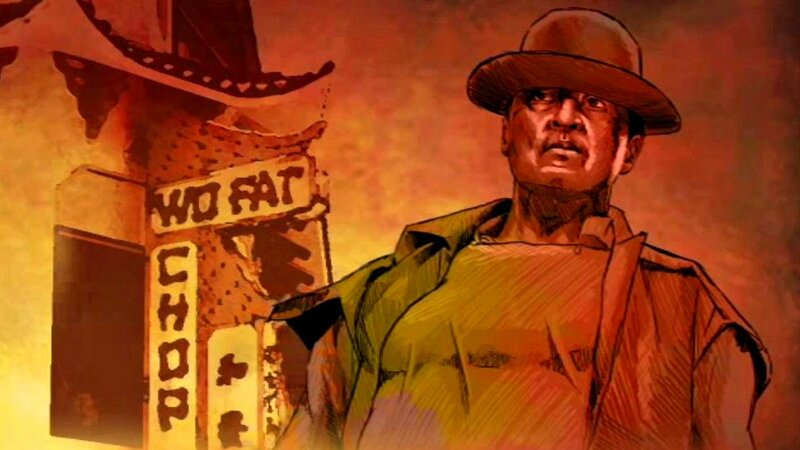 In “The Black Camel” Charlie Chan laments “…there has been upheaval in local police department…”, as a result Chan gets promoted to the rank of inspector. On February 20, 1928, Chang Apana is promoted to Detective First Grade, after a major police scandal. Before becoming a policeman, Chan worked for a wealthy white family, the Jordans. The same can be said of Apana who worked for the Wilder family as a hostler. Both Chan and Apana were excellent cooks. Apana was chef in charge of a big luau that was given for the Prince of Wales when he visited Honolulu. Chan lived on Punchbowl hill, while in 1908, Apana lived on Punchbowl near Hotel Street. Chan worked very slowly and meticulously on cases…”I have never been demon for speed…” (“The Black Camel”). The same can be said of Apana. In their respective modus operandi on cases, both Chan and Apana worked alone. Chan spent most of his time running down gamblers; that was also Apana’s major job. 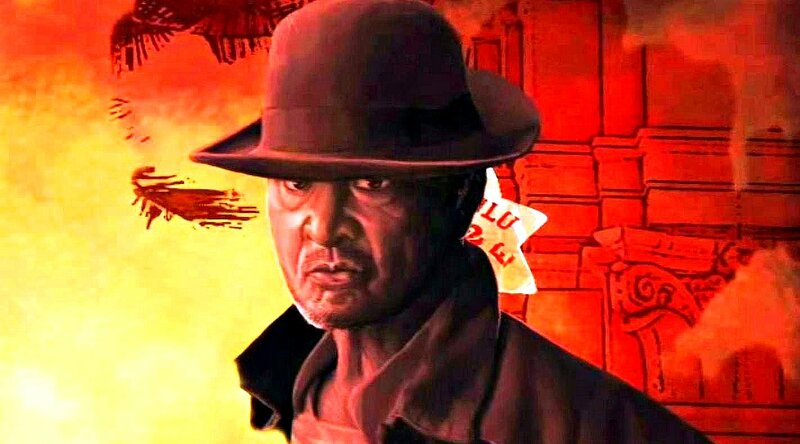 In “The Black Camel”, it is mentioned that Chan has 27 years of service on the job; Apana by the time of the writing of “The Black Camel”, would have served approximately the same length of time. Chan’s method of inquiry on a case was to investigate the human heart. Apana, too, was a keen student of the human heart and character. Neither Chan nor Apana drank alcoholic beverages. Both Chan and Apana resisted many and all attempts of bribery; as Chan says “All those years on the force, beset with temptations, but always honest, always irreproachable,” (“Keeper Of The Keys”). It is easy to see from the items mentioned above that the similarities between Chan and Apana are more than just cursory. "Fred Kramer, retired Captain of the Guards at Oahu Prison and Halawa Jail, had some interesting reminiscences about Detective Chang Apana. Kramer actually saw Apana in action leaping from roof to roof in Chinatown, like a human fly. In appearance, Kramer recalls, 'Apana looked so frail that one slap could break him apart.' "
"Apana, though fragile in appearance, was in reality a very tough guy. Once while Apana was attempting to raid a gambling game, he was hurled from a second story window, but like the proverbial cat, he landed miraculously, on his feet unhurt. 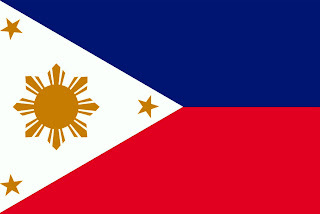 Another time when arresting a dangerous Filipino suspect, he was slashed across the stomach with a knife. 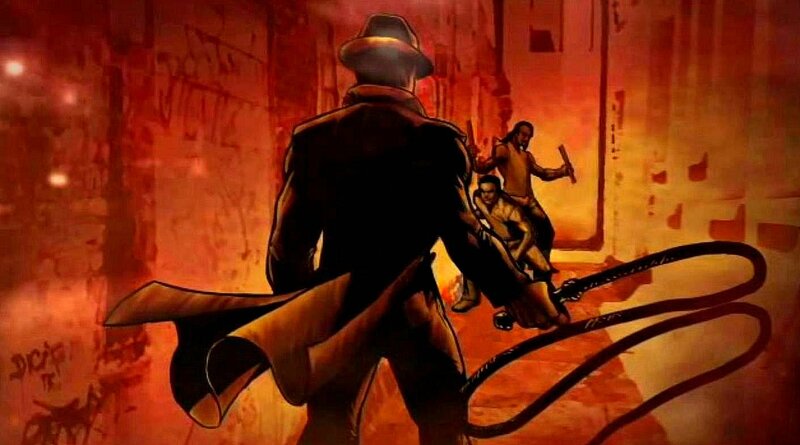 Again he emerged unscathed as the knife landed on a broad belt that he was wearing." "Apana had another close brush with death during the arrest of a prison escapee. He was assigned with Chief of Detectives Arthur McDuffie, and Assistant Chief John Kellett to capture a Korean, who had broken out of jail, and who was known to be a desperate character when cornered. They finally located their quarry, hiding under a house. When he was ordered to come out the suspect replied with a fusillade of shots, one of the shots boring the palm of Kellett's hand. More shots followed that narrowly missed hitting McDuffie and Apana. In a lull between the shots being exchanged between the escaped felon and the officers, Apana sneaked around to the back of the house, while the other two officers held the fugitive at bay. In the twinkling of an eye, Apana pounced on the escaped prisoner. He was in the midst of a life and death struggle when the other two officers came to his rescue. At the end of this ordeal, Apana was in such bad shape, that he had to be taken to the hospital for a week to recuperate." In this edition of Angel Watchers we are featuring two cool videos. Please click on video widget right below this post to watch "The Legend Of Chang Apana" that was produced by Jon Brekke, for Oceanic Creative Services in Honolulu. It is the pilot for a proposed TV series that hopefully will be in production soon. Unfortunately, though, they got Detective Chang Apana's badge number wrong. It's supposed to be badge number 100, not badge number 352. That badge number however was retired after the death of Apana. When the series finally gets going they should have technical advisers on hand to catch mistakes of this kind. 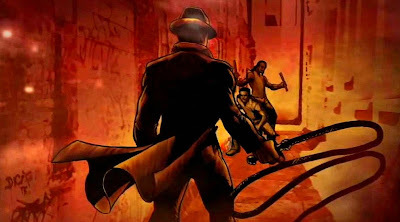 The creators of "The Legend Of Chang Apana", have put together incredible graphics, along with a script that has a smooth contemporary feel to it, to tell the exciting story of Detective Chang Apana. 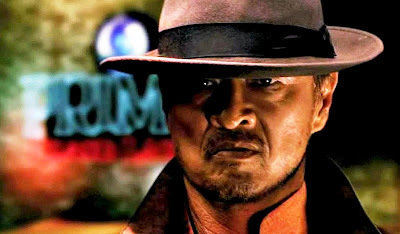 It stars Cary Hiroyuki Tagawa as Chang Apana. This movie is hip, slick, intelligent, and very now. My congratulations go out to the makers of "The Legend Of Chang Apana", for doing such an outstanding job. The bottom video is a short clip from a Charlie Chan movie called"The Black Camel" that was filmed on location in Honolulu in 1931, starring Warner Oland as Charlie Chan, and Bela Lugosi as Tarneverro. Safe journeys to all the fans of Angel Watchers, wherever you may be. "The Legend Of Chang Apana"
In this edition of Angel Watchers we are featuring David Campos who comes from Bucaramanga, Columbia. 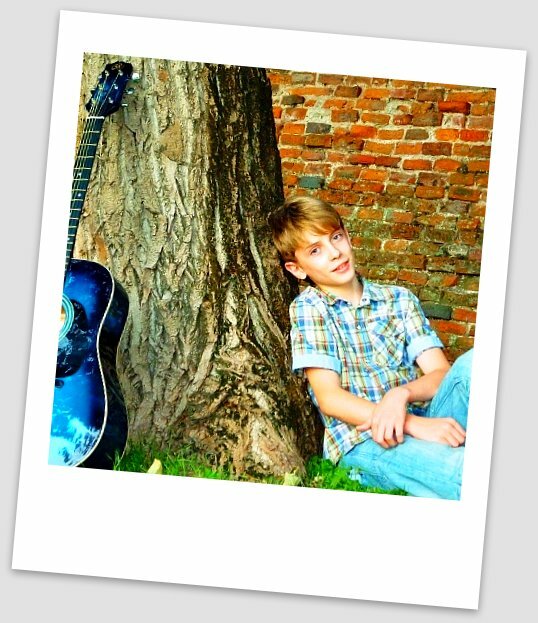 David, who was born on August 20, 1998, has been singing and playing the guitar since the age of five. 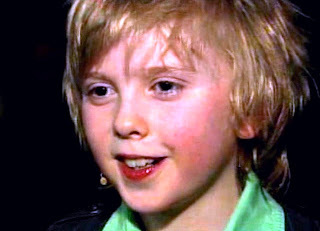 His voice is amazingly powerful for his age. David's high notes have a wonderful richness to them, and they sound full with warm overtones. When I first heard David sing "Con La Misma Piedra (With The Same Stone)", which was written by well known Mexican composer Jorge Massias, I was amazed by his poise and innate musicality. He also seemed to have had a lot of fun making the video. By-the-way, David's cover of "Con La Misma Piedra" is excellent and it has a feel good quality to it that is completely infectious. Safe journeys to all the fans of Angel Watchers, wherever you may be. Razvan Dobai is a terrific singer from Bihor, Romania. In this edition of Angel Watchers we feature him singing "My Way", that was made popular in America by Frank Sinatra. Razvan does a powerful heartfelt rendition. By-the-way, "My Way" is the most covered song in the history of recorded music. Safe journeys to all the fans of Angel Watchers, wherever you may be. Daves Highway is a terrific gospel group from Mississippi. 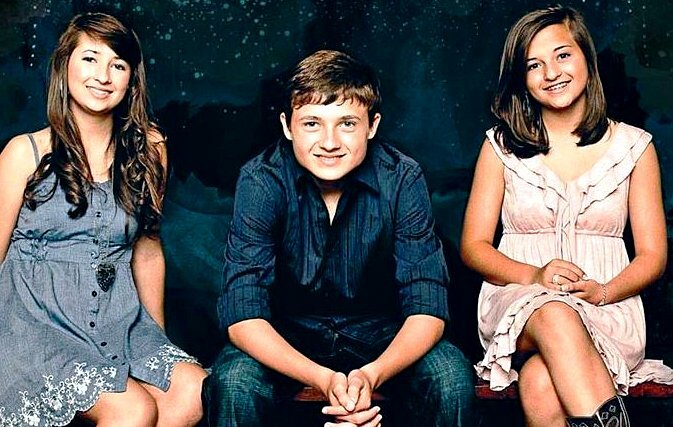 The members of the group are Delaney, Zachary and Erika Daves, and yes, they are siblings. My Dear Aunt Martha recommended that I listen to Daves Highway, and I'm glad that I did. Their music is very uplifting to the spirit, and they have such a clean and wholesome sound. By-the-way Daves Highway has a cool website that can found at this link: Daves Highway - Official Website Please give it a visit and help to support them by purchasing some of their music. Safe journeys to all the fans of Angel Watchers, wherever you may be. 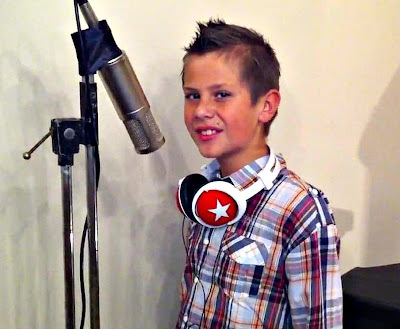 Jared Cardona, from South Africa, is a new singer with an amazing voice. In this edition of Angel Watchers I am featuring Jared singing "One Voice" that was made popular some years ago by Billy Gilman. Jared actually does a great cover of that classic song, and at times he sounds exactly like Gilman. Jared has been singing and studying music for less than a year but he has come a long away. Safe journeys to all the fans of Angel Watchers, wherever you may be. 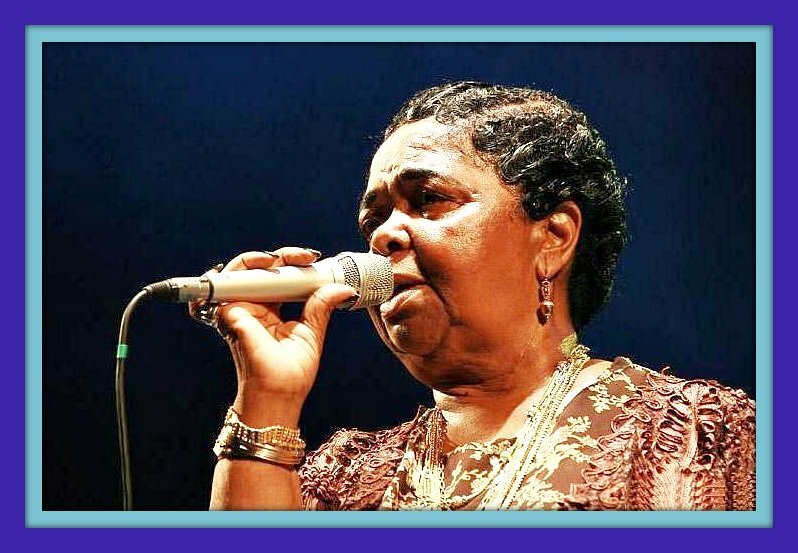 In this edition of Angel Watchers I am pleased to present the great singer Césaria Évora, from Cape Verde. Césaria is well known internationally, but is largely unknown in America, which is a shame because she is such an awesome singer, and performer. By-the-way, Césaria always performs with bare feet, that is why she is also known as the "barefoot diva". The video below is an excerpt from a concert sponsored by Heineken, that she gave in the year 2000, at the Teatro Alfa in São Paulo, Brazil. In it Césaria sings the hauntingly beautiful "Cabo Verde Manda Mantenha (Cape Verde Greets You)", that was composed by the late Manuel de Novas, the Poet Laureate of Cape Verde. For those of you who are interested, the lyrics are a creole combination of Portuguese and Cape Verdian dialects. Unfortunately, Césaria Évora passed away on December 17, 2011, in São Vicente, located in her native Cape Verde. Safe journeys to all the fans of Angel Watchers, wherever you may be. 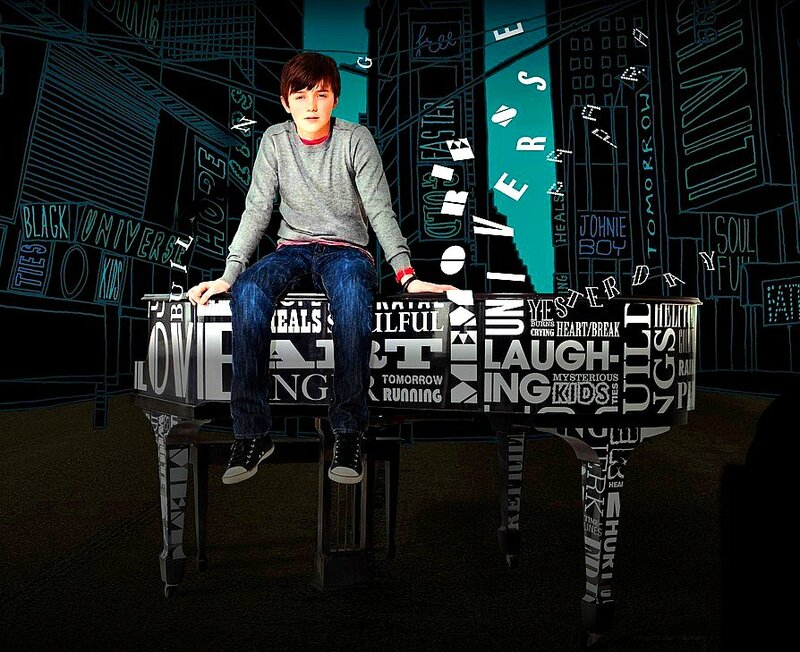 In this edition of Angel Watchers we are featuring the incredible Greyson Chance. 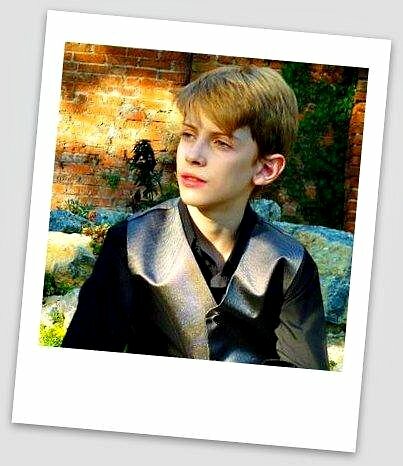 He was born in Wichita Falls, Texas on August 16, 1997, but currently resides in Edmond, Oklahoma. It is not very often that we get to write about American singers on Angel Watchers, but we do so whenever we get the opportunity. Unfortunately, in the United States, no value is placed on music education in the elementary and secondary school systems. In fact, now-a-days, with educational budgets being cut, music classes are the first to feel the axe when it falls, and the first to go. That is not to say that America does not have a lot of talent. What we are saying is that this talent does not get the proper nurturing, and training that it should. If you go to YouTube you will find a lot of young singers from America, but alas, most of them are so untrained, and their potentials so truncated, that it makes us very sad. But along comes Greyson Chance who has beaten all the odds and managed to become a fantastic musician, singer, and performer. 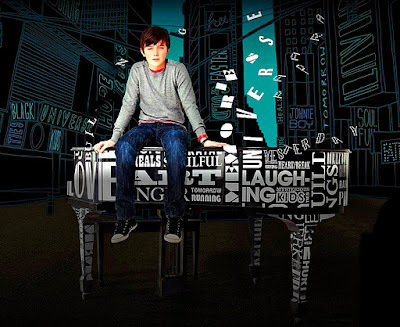 You can log on to Greyson's cool website by clicking on this link: Greyson Chance - Official Website Greyson does a magnificent job of singing "Waiting Outside The Lines". His rendition is very moving and haunting. Safe journeys to all the fans of Angel Watchers, wherever you may be. Here is, a blast from the past, a golden oldie, if you will. 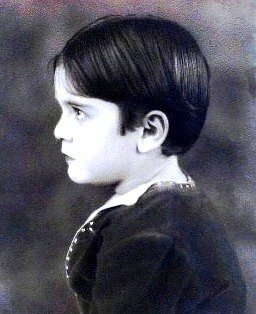 Frankie Darro was the greatest child actor of the 1930s, to the 1940s. What made him so unique though, was that he did all of his own stunts. He came from a circus family. His parents did a "high flying" trapeze act, so Frankie learned to be rather adept from a very young age at performing aerial acrobatics. Most of you would probably remember him as the voice of Lampwick in Walt Disney's "Pinocchio". 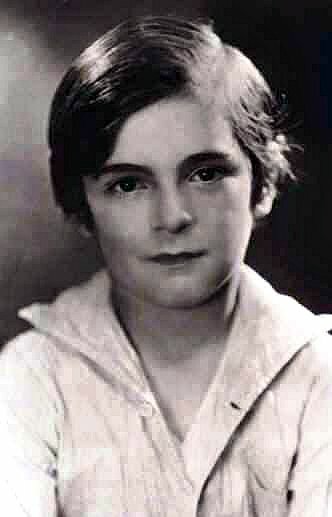 In 1931 he starred in a serial called "The Vanishing Legion". This serial is two-hundred and twenty minutes long, and Frankie is in about 95% of all the scenes. In other words he owns this serial. In the video clip presented below, notice how he does a flying leap to get on his horse. It is quite remarkable. Safe journeys to all the fans of Angel Watchers, wherever you may be. 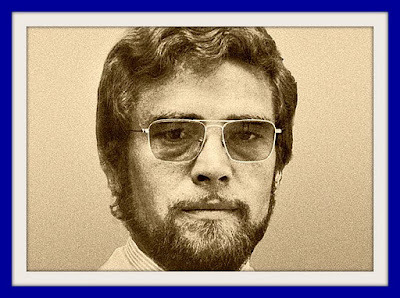 In this holiday edition of Angel Watchers we are featuring the late, great Horst Jankowski from Germany playing his mega-hit "Eine Schwarzwaldfahrt (A Walk In The Black Forest)". Safe journeys to all the fans of Angel Watchers, wherever you may be. "Under Plum Lake" by Lionel Davidson, is a masterpiece of the Sci-Fi, Fantasy genre. It was originally released in 1980, and until very recently, it was a hard-to-get-book that fetched high prices on Amazon.com. 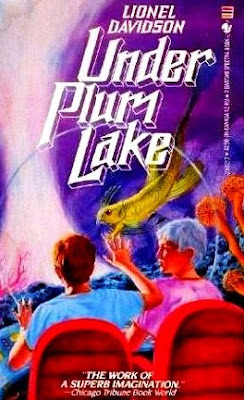 "Under Plum Lake", was out-of-print for many years, but it has finally been reissued as a trade-size paperback book. It tells the story of twelve year old Barry Gordon who accidentally finds a cave on the Cornwall coast, and discovers a highly advanced subterranean civilization called Egon. Barry's adventures there are magical. He meets up with a boy called Dido, and they explore Egon together. It is actually a thinly disguised alien abduction case. The adventures that Barry and Dido experience are a kaleidoscopic series of magical escapades that have delighted reader of all ages for more than thirty years. Safe journeys to all the fans of Angel Watchers, wherever you may be. 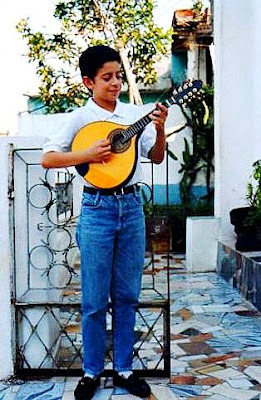 In this edition of Angel Watchers we are featuring bandolim (mandolin) virtuoso Danilo Brito. He was born in São Paulo, Brazil and started playing the bandolim at the age of three. I am impressed by his impeccable phrasing and intonation. It is very hard to get a good tone out of the bandolim as the notes die out very quickly, but in the hands of Danilo, the notes of the bandolim seem to ring out forever. 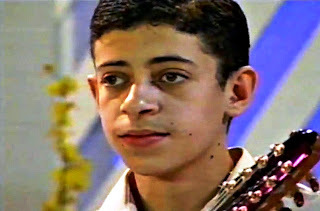 In the video below he is joined by: Eloy - violão; Felipe - cavaquinho; and Adalton - pandeiro. The song is called "Meu Chorinho (My Little Cry)", and it was written by the famous choro composer Jonas do Cavaco. 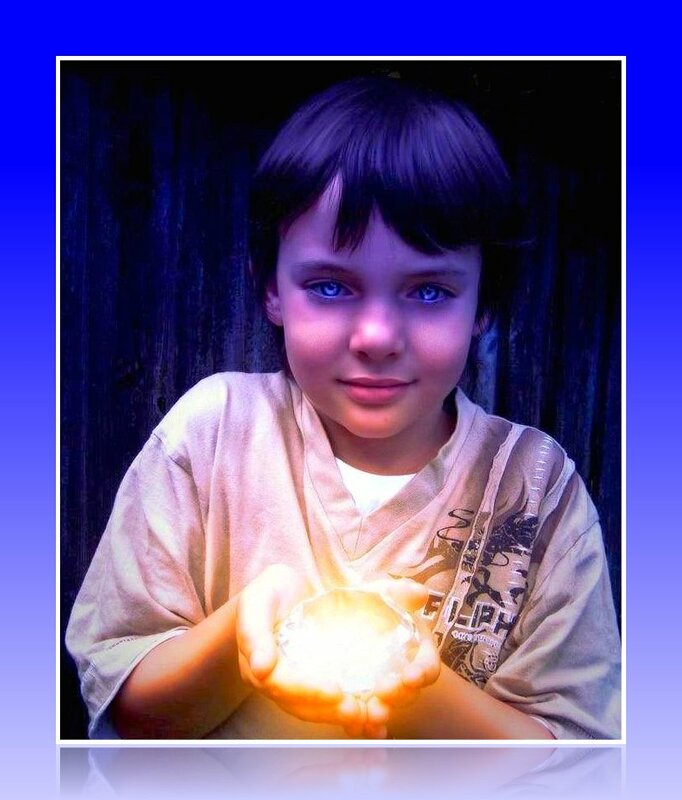 Danilo has a terrific website that can be found at this link: Danilo Brito - Official Website Safe journeys to all the fans of Angel Watchers, wherever you may be. 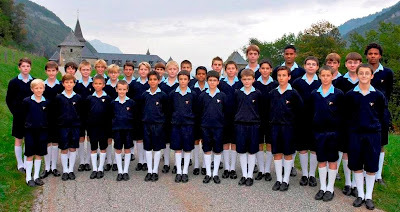 The Petits Chanteurs à la Croix de Bois (The Little Singers of the Wooden Cross), was founded in Paris in 1907. For over a hundred years they have been thrilling audiences all over the world with their magnificent singing. In this edition of Angel Watchers, they sing Franz Schubert's beautiful "Ave Maria", which just happens to be one of my favorite songs. I have a special devotion to the Blessed Virgin Mary, and the "Ave Maria" holds a very special place in my heart. Safe journeys to all the fans of Angel Watchers, wherever you may be. The beautiful Tinikling dance is not, unfortunately, well known outside of the Philippines, but to those of us who were born and raised in Hawaii, it is something that we grew up with, and learned to love at a young age. The word tinikling is a reference to birds known in the Philippines as tikling. The term tinikling literally means "tikling-like". The dance originated in Leyte, which is a part of the Visayan islands located in the central Philippines, as an imitation of the tikling birds dodging bamboo traps set by rice farmers. 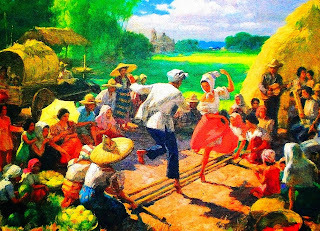 Tinikling is the most popular, and best known of the Filipino folkloric dances, and is the national dance of the Philippines. In this edition of Angel Watchers we are honored to present the exhilarating, and hypnotic Tinikling Dance for your enjoyment. Safe journeys to all the fans of Angel Watchers, wherever you may be. In this edition of Angel Watchers we are featuring Laurance, Gwion, and Harry who are the three winning "Olivers" from the BBC program "I'd Do Anything", singing "Where Is Love?". Lionel Bart's "Oliver" is my favorite musical in the whole world, and it is always a pleasure to hear new arrangements of the music from it. You are in for a real musical treat because Laurance, Gwion, and Harry are exceptional singers who have a pure, angelic stage presence. Safe journeys to all the fans of Angel Watchers, wherever you may be. I was searching for music videos in a rather obscure part of the internet, when I stumbled upon a very unusual blog. My first impression of it was a feeling of irritation. As a general rule, I dislike blogs/websites, that start to play music as soon as the page starts to load. Well that's what happened on this site, but luckily for me, since the blog was written in one of the lesser known languages of the world, I had some difficulty in locating the online streaming music player that I wanted to turn off. Meanwhile, the music continued to play, and it turned out to be a very, very, beautiful song that brought tears to my eyes. I had not been so moved by a new song for quite some time. This song spoke to me in very intense emotional waves. After it was over, I had the player repeat it, so that I could get the artist and track information, but low and behold, in the player window, it showed some random letters and numbers for the name, and artist, of the song. That meant that an irregular copy of the song was being streamed. Which, in hindsight, should not have surprised me at all, as that whole blog was irregular. Well, I was not about to give up on it. I have very sophisticated software on my computer that can capture any audio or video that plays on my browser, so I turned it on and was able to save the audio stream. Now, my task was to figure out the name of the song, and also who this wonderful singer was. So I guessed at the title, and started to do an online search, and bingo, on the first hit, up came "An Angel", by the Kelly Family. OK, so I found the song, but it was not the version that I had heard. It did not take me long though to discover that the singer was none other than the great Declan Galbraith. Many blogs feature his music, but unfortunately, even though he has a magnificent voice and style, his song choices did not move me, so I did not pay much attention to him, and never featured him on Angel Watchers. I am now a big fan of his. 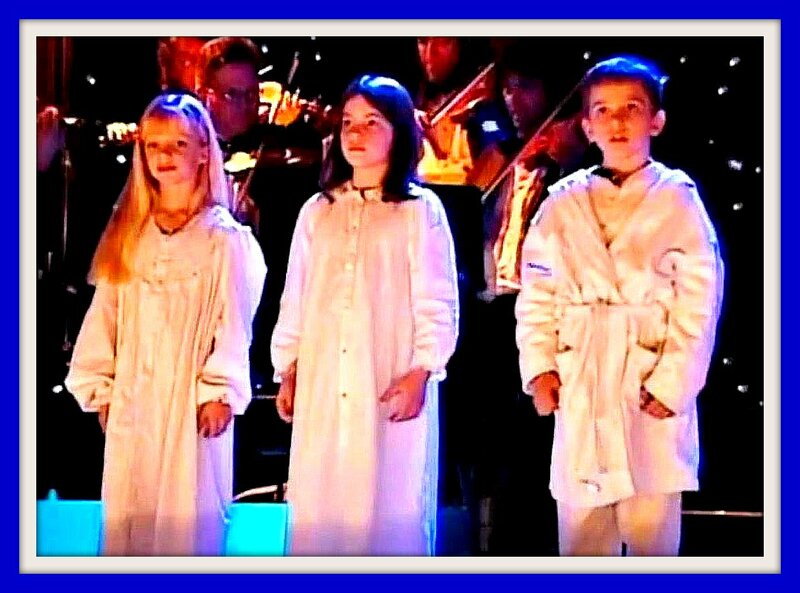 "An Angel" was composed by the Kelly Family in 1994, so it has simmered for quite a while on the contemporary musical scene, but I don't know how I missed hearing of it for so long. 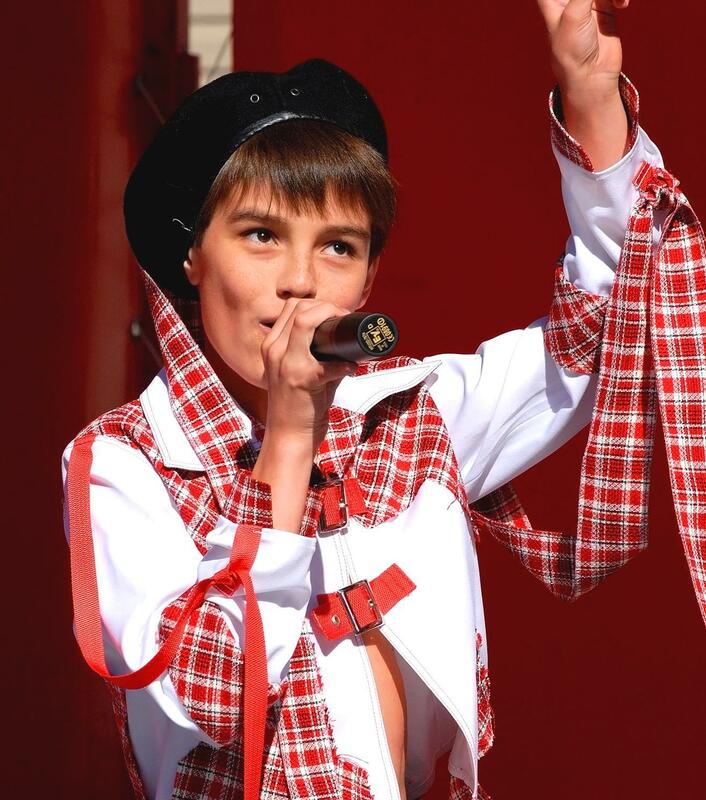 Declan Galbraith is an English singer of Scottish, and Irish origin. 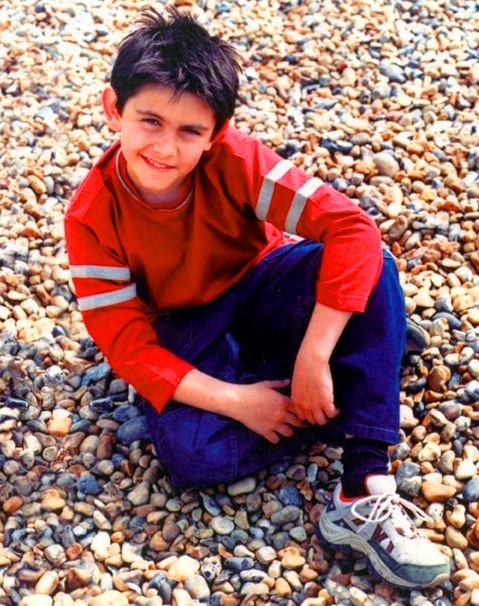 Declan and his family live in Hoo, a village near Rochester, Kent. He is well known for the control and range of his voice, as well as his ability to interpret, and adapt musical material of many different styles. 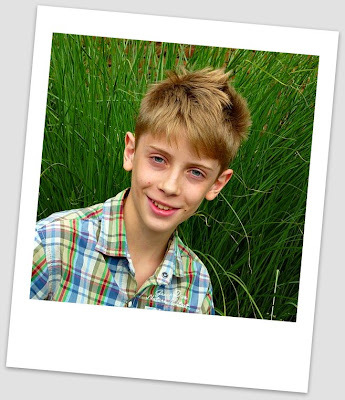 By-the-way, Troye Sivan, has a very sweet little boy version of "An Angel". Troye's rendition is excellent, but I was not able to find a video of it. I have unilaterally decided that Declan Galbraith's "An Angel" is the official theme song of Angel Watchers. Not to worry though, I'm not going to stream it on the blog. Safe journeys to all the fans of Angel Watchers, wherever you may be. 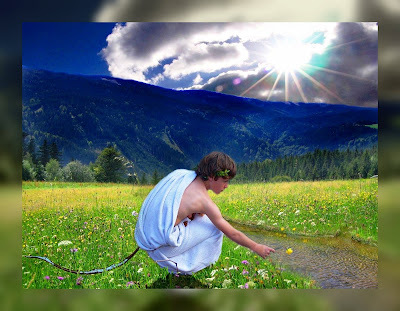 Ivan Kupala Day (St. John the Baptist Day) is celebrated in Eastern European countries around July 7. Tvorila Night, the eve of Ivan Kupala Day, is considered to be a time for good humor, mischief, and boisterous fun. On Ivan Kupala day itself, children have water fights, and perform pranks mostly involving pouring water over someone's head. After all, it is St. John the Baptist day. I am a bit nostalgic about "Ivan Kupala", as it is the song that introduced me to the amazing, and entertaining, Vlad Krutskikh and Street Magic. It is interesting to note that all the performers in this cool video are wearing Ivan Kupala (St. John The Baptist) themed costumes. Safe journeys to all the fans of Angel Watchers, wherever you may be. Chico and Roberta is an exciting musical duo from Puerto Seguru in Brazil. They were inseparable from their infancy, and went to the same school, and even did their homework together. Chico and Roberto initially received a lot of media attention with their spirited dance interpretation of the Lambada, which you can find many versions of on YouTube. In this edition of Angel Watchers, my Dear Aunt Martha and I are presenting two remarkable video presentations of "Esperança Do Natal (Christmas Hope)" performed by Chico and Roberta with a large supporting cast. These videos have really high production values, and stands out as some of the best music videos ever to come out of Brazil. As usual, my Dear Aunt Martha and I discovered "Esperança Do Natal" quite serendipitously when we were browsing for something else. "Esperança Do Natal" is an extremely hypnotic, haunting, infectious, exotic, intriguing, and beautiful song. I can listen to it over, and over again with complete enjoyment. By-the-way, the conga player has a rhythmic intensity that is very appealing. He is fun to watch. Without further ado, please click on the video widgets below for an incredible video treat. Safe journeys to all the fans of Angel Watchers, wherever you may be. In this edition of Angel Watchers we are pleased to present a fantastic musical group from Puerto Rico called Tick Tock. "Dime Que Si (Tell Me Yes)" by Tick Tock is a very infectious song. It's hard to keep still while listening to it! Rum is not the only export from Puerto Rico, Tick Tock has supplanted it as a viable commodity. 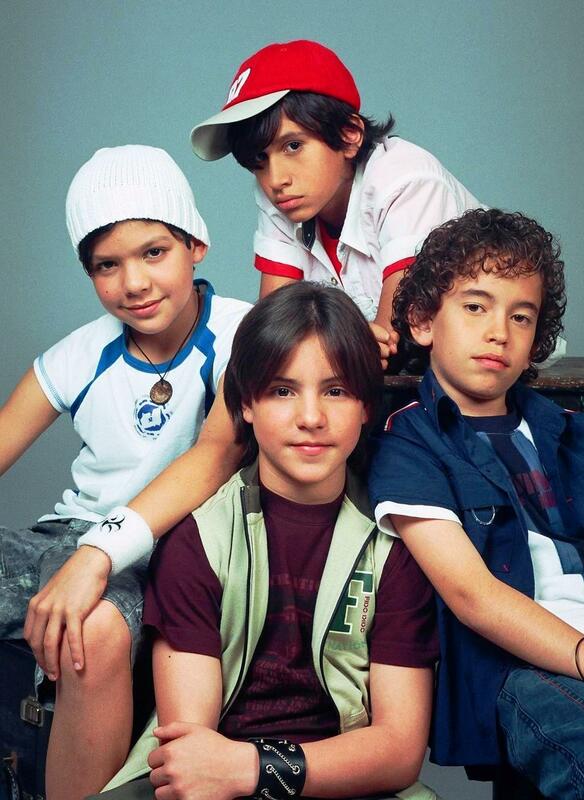 This group was created by a former manager of Menudo, of days past. In fact, former members of Menudo gave their blessings to this new group, when they were first introduced. I like Tick Tock a lot. Safe journeys to all the fans of Angel Watchers, wherever you may be.